Written by Felipe Azenha & filed in Events, Mixed-Use, Uncategorized. 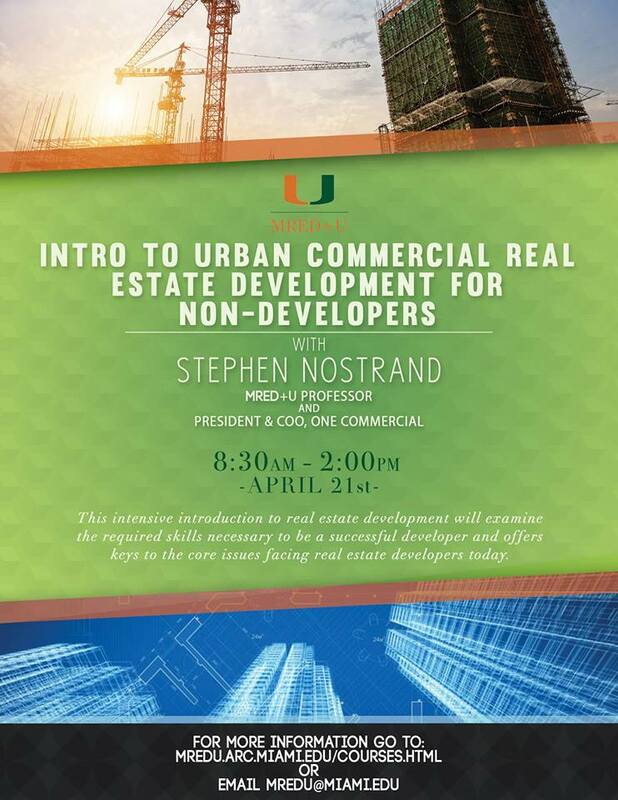 Join the Master of Real Estate Development and Urbanism for this intensive introduction to real estate development. The one day course will communicate the basic skills necessary to be a successful developer and will introduce you to the commercial real estate field. You will be asked to participate in discussions and share your ideas on the challenges of real estate development. This is an interactive seminar with your comments, questions and ideas as an essential ingredient.